Secrets and sights of Egypt!... Fly to Cairo and delve into this vibrant and energetic city, making a stop at some of the many mosques and palaces, or amuse yourself with the magnificent views of the pyramids of Giza. Then land to Alexandria, known as 'The Pearl of the Mediterranean', featuring alluring beaches and its world-wide known Bibliotheca Alexandrina, holding more than 8 million books. Lastly, explore the 'world's greatest open-air museum, Luxor!...The setting of the city's ancient monuments are simply breathtakingly beautiful. Combine Cairo, Alexandria and Luxor with a flight between cities. Combine Rome and Cairo with a flight between the cities. Begin your vacation package in Rome (full of religious history and artistic achievement); then travel to Athens (the cradle of civilization and home of democracy), then fly to Cairo (the capital of Egypt; full of rich history from Greek, Roman and Egyptian empires). This is a flexible vacation package. Select your number of nights in each city, desired hotel and activities. A fantastic vacation package, combing wonderful destinations across Europe and one fascinating capital in Africa! Begin your journey in Paris (the romantic City of Lights); travel to Rome (with centuries of artistic achievement and more religious history than imaginable); visit Athens (the birthplace of democracy, the Parthenon) and Cairo (a preservation of rich history from Egyptian, Roman and Greek control of the city). This is a flexible vacation package. Select your number of nights in each city, desired hotel and activities. 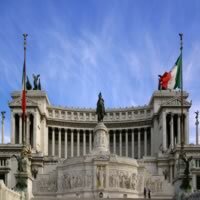 Combine Italy, Egypt and Greece with a customizable vacation package touching Europe and Africa. 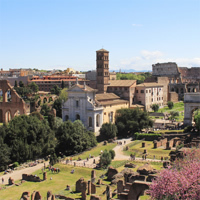 Begin in Rome (full of religious history and artistic achievement); then travel to Cairo (incomparably rich in history from various empires) and last Athens (the cradle of civilization and home of democracy). This is a flexible vacation package. Select your number of nights in each city, desired hotel and activities. Egypt! Spain! France! England! The best of Europe combined in this distinctive vacation package, exploring 4 splendid cities! Begin this incredible experience flying into Cairo (set on the Nile River and at its heart is Tahrir Square and the vast Egyptian Museum. Nearby, Giza is the site of the iconic pyramids and Great Sphinx, dating to the 26th century BC), then continue to Barcelona (unmatched in its uniqueness; quirky yet stunning architecture, delectable food and lively nightlife); take another flight to Paris (the City of Lights; unrivaled shopping, dining and romance) and finally end up in London(immaculate English gardens, world-class shopping, a vivid nightlife, culture, theater and magnificent Royal palaces to explore). Travel between cities by plane. This is a flexible vacation package. Select your number of nights in each city, desired hotel and activities. Two incredible cities with a wealth of history come together in this unique vacation package. Begin in sophisticated Paris (The Louvre, Champs Elysees and so much more) and fly to exciting Cairo (the Pyramids, museums, rich culture) with a flight between cities.This is a flexible vacation package. Select your number of nights in each city, desired hotel and activities. Begin your flexible vacation package in energetic Barcelona (known for its art and architecture. The fantastical Sagrada Familia church and other modernist landmarks designed by Antoni Gaudi dot the city) and continue by plane to enigmatic Cairo (set on the Nile River and at its heart is Tahrir Square and the vast Egyptian Museum. Nearby, Giza is the site of the iconic pyramids and Great Sphinx, dating to the 26th century BC). Flight between cities. This is a flexible vacation package. Select your number of nights in each city, desired hotel and activities. Combine London and Cairo with a flight between cities. 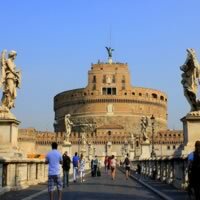 Combine Italy, Egypt and Greece with a customizable vacation package touching Europe and Africa. 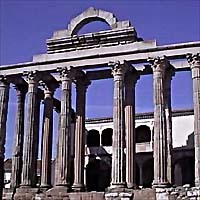 Begin in Rome (full of religious history and artistic achievement); then travel to Cairo (incomparably rich in history from various empires) and Athens (the cradle of civilization and home of democracy), ending in Heraklion on Crete Island (a stunning destination with architectural ruins and magnificent beaches). This is a flexible vacation package. Select your number of nights in each city, desired hotel and activities.